Becky Brill, of the city of Joplin, was kind enough to drop by and leave us an update on the status of the nominations that went before the Missouri Advisory Council on Historic Preservation on Friday. For those of you following the status of the Joplin and Wall Historic District and the South Main Street Historic District, Becky had some good news! Both districts were approved by the council and were recommended to be placed upon the Federal Register of Historic Places as commercial districts (which bring important tax benefits). That final decision will be made by the Federal government in Washington, D.C. Becky’s comment noted that that decision will probably come in October. Let’s hope for good news in the fall! For those of you who missed our initial coverage of the nomination of the districts, here’s the post with all the details. Today’s Joplin Globe features an article on the Missouri Advisory Council on Historic Preservation and its consideration of several areas in downtown Joplin for historic district status. 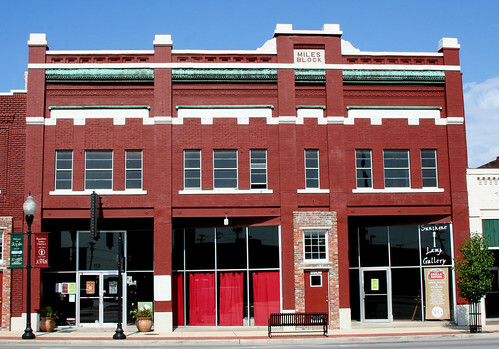 The two areas that the city wants to join the Sunshine Lamp District include an area located between Joplin and Wall and 1st and 3rd streets and would be known as the Joplin and Wall Historic District, the other would be the South Main Street Historic District, an area on the west side of Main Street between 1st and 2nd Streets. If the Missouri Advisory Council on Historic Preservation signs off on these nominations, they would then be forwarded to the Federal Register of Historic Places. If placed on the register, buildings in the districts could qualify for Federal and state tax credits. 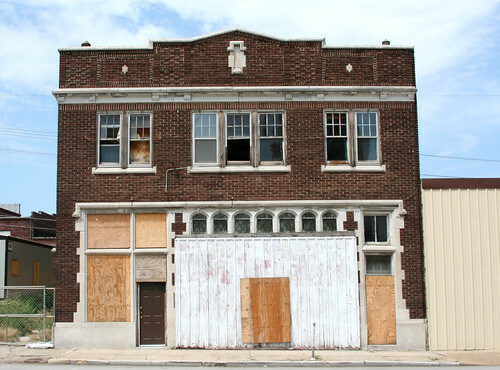 Here’s a link to a draft of the Joplin and Wall Historic District nomination. The draft provides a list of the properties, a brief description of each, as well some history. 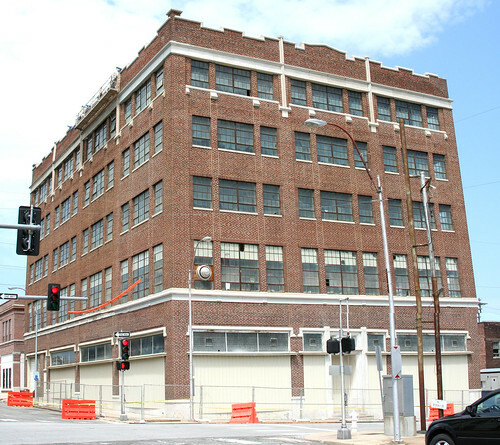 Such recognizable buildings are the Joplin Supply Company building, the Greyhound Bus Depot across from the library, and the old court house post office building. Here’s the link to the draft for the nomination of the South Main Historic District. “The South Main Street Historic District (Photos 1‐8; Figs. 1‐4) is located in the City of Joplin, Jasper County, in southwestern Missouri. This one‐block long linear district encompasses less than one acre and occupies all of the west side of South Main Street between West First and West Second Streets and consists entirely of commercial architecture dating from the turn of the twentieth century through c. 1910. The district is located at the northern periphery of the central business district and contains ten buildings of one and two stories in height, all of load‐bearing masonry construction. Two buildings are non‐contributing elements within the context of the district as a whole and the remaining eight are contributing. 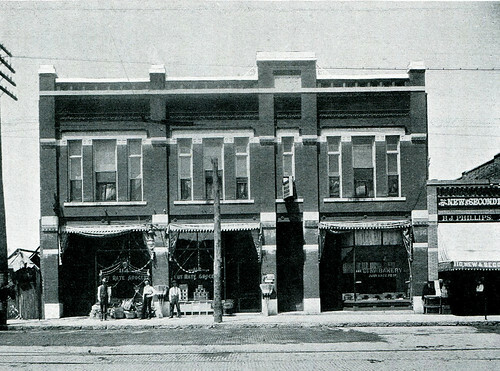 The Miles Block as it appeared around 1902. The district primarily concerns the strip of beautiful buildings on the west side of Main Street from 2nd street up that include the striking Miles Block. For those of you interested in learning more about the architecture used in the construction of these buildings, as well as for some brief histories, we encourage you to read the drafts in greater detail. The Council will meet this Friday to discuss the nominations. This page took 0.193 seconds of computer labor to produce.